Music is an important part of my life, other than when I am birding or working there is likely to be music in the background. I am quite old school in that I listen to and enjoy the physical presence of CDs. For any younger readers, they’re a kind of shiny plastic disc about 15cm wide that you place in a little drawer in a machine, and wires then run from this machine to another machine called an amplifier, and from there yet more wires run to loudspeakers. If you want to listen to something different you have to go to the machine, take the disc out and put another one in. Or send a child. When not being listened to the discs live in little square plastic cases which take up vast amounts of room yet give undeniable pleasure. This past sodden weekend my CD player got a lot of action, including Pink Floyd’s “The Wall” which seems to be appropriately apocalyptic for the current place where the world finds itself. 38 years old yet still highly relevant, prophetically cyclical you could say. We also listened to Van Morrison, Keane, Springsteen, Waylon Jennings, Tracy Chapman and Mozart. What that says about Chateau L and its residents I cannot say. Music can also help connect you to physical moments. 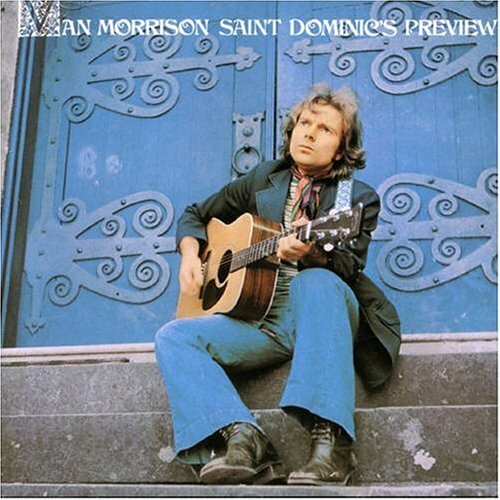 Neither Mrs L nor I are soppy enough to have an “our song” or anything like that, but Friday evening will always see Van M’s “Saint Dominic’s Preview” get an airing. The whole family know it by its alternative name of “The start of the weekend music”. This tradition goes back a long way and the original reasons why are lost, but those first "da da das" signify the start of something better, something positive, a clean break. It is infectious; I suspect our kids will do it too in later life. For me, music comes into its own during travel, especially solo travel, which has been known to happen from time to time. All of my trips have soundtracks. Just before my recent trip to Madeira I finally fixed whatever it was that was wrong with my iPod (other MP3 players are available) and so was at long last able to download a number of those funny shiny discs onto it, including Bruce Springsteen’s “The Promise” that I had bought some time ago. This is a series of recordings from the late 1970s that were part of the “Darkness On The Edge Of Town” sessions, but that didn’t make that album’s final cut. Released finally in 2010 after a 30 year hiatus they are however equally as good, and I spent my journey to and from Madeira, driving time, as well as some down-time in the evenings getting to know it. I mean really know it. In short, excellent, particularly The Brokenhearted and a couple of others. This is not intended be some kind of Springsteen eulogy, the same is applicable to all sorts of albums listened to on other journeys. I am just saying that whenever I listen to this particular album or hear a song from it, and despite its content and mood, I will now always think of the glorious levadas in Madeira that I walked along whilst humming various melodies, and the wind-blown trek out along the ridge to the viewpoint at the Pico do Arieiro to look at the Zino's colony. Of the stunning collection of mature South African cycads at the Monte Palace Jardim, hundreds of ancient plants. Of the amazing succession of viaducts and tunnels that make up the major roads on the south of the island, and the amazing coastal road that goes from Sao Vicente to Porto da Cruz on the northern side. And then finally a rather gin-fuelled return journey back to the UK with a fabulous sunset at 37,000 feet. That's amazing Mark, I thought it was one of the lesser-known albums? And Nebraska, the original home of Atlantic City, wonderful.